Usually on the first Sunday of every month, there will be a lunch in the church hall for Impact group, our 20s and 30s group. Please join us as we meet together for a time of fellowship, building friendships and enjoying great food! You can let us know you're coming via our Facebook page or through our text service. For those with children, we will provide childcare. Please let us know by the Thursday evening before each Sunday if you're planning on coming. stcs impact followed by your name and the number any extra people coming with you. 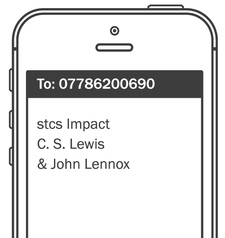 Please do not add any extra apostrophes or commas in 'stcs' because we won’t get your message! You will get a confirmation text message. If you don’t get one, please let us know by calling the church office on 0131 225 3505 and leave a message.